Can I Replace Fermented Black Beans With Prepared Black Bean Sauce? Nothing beats the unique salt and spicy flavor of fermented black beans (dul see), but they are generally available only at Asian groceries and markets. Chinese black bean sauce, on the other hand, can be found in the ethnic or international section of many supermarkets. How Much Black Bean Sauce Should I Use? A good rule is to replace the black beans with an equal amount of black bean sauce. If you find the dish lacks flavor, try switching to another brand. When Should I Add the Sauce? Fermented black beans can be added to the food at several points. The beans may be sprinkled over food before steaming, for example. A popular technique is to mash the beans and combine them with garlic and/or ginger. The mashed bean/garlic/ginger mixture may be rubbed over meat or seafood prior to cooking, added to the heated oil at the beginning of stir-frying, or combined with other liquid ingredients and poured over steamed dishes. Prepared Chinese black bean sauce, on the other hand, just needs to be heated through. In stir-fries, combine the black bean sauce with the other sauce ingredients, and add to the wok in the final stages of cooking. 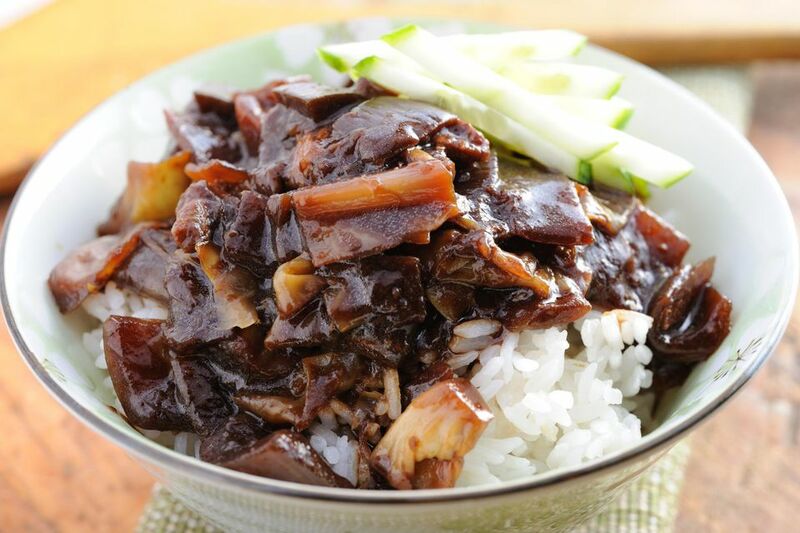 Follow a similar procedure for steamed dishes, combining the prepared black bean sauce with the other sauce ingredients, adding the sauce to the food and steaming according to the recipe directions. Don’t try substituting black bean sauce for mashed black beans as a rub over meat or seafood before cooking – the results won’t be very good. Think of it as a sauce and proceed accordingly.